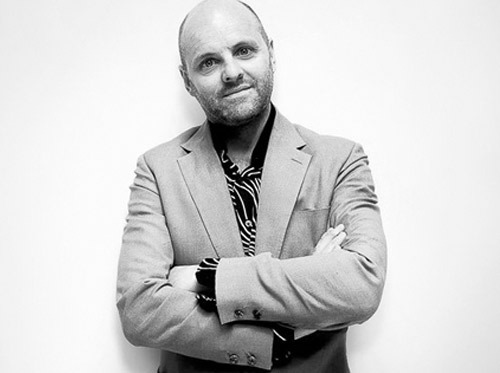 Gavin Turk is a British artist who rose to fame in the 1990s as a member of the renowned YBA group. He gained instant notoriety when the Royal College of Art refused him a degree based on his final show ‘Cave’. As a result of this installation Gavin was spotted by Charles Saatchi, who included him in some of his controversial exhibitions. Gavin's work has since been collected and exhibited by major museums and galleries throughout the world. Sarah Martin is Head of Exhibitions at Turner Contemporary in Margate. Over the 10 years she's been with Turner Contemporary, Sarah has worked on projects, exhibitions and commissions with renowned artists, including Daniel Buren, Alex Katz, Edmund de Waal and Laura Ford. Sarah has also worked for Camden Arts Centre and the Baltic Centre for Contemporary Art. Holly Fraser is Editor of Hunger magazine, a biannual style and culture publication that covers fashion, art and documentary. She studied Art at Camberwell College of Art before completing a degree in Journalism at London College of Communication. Before moving to Hunger five years ago, Holly worked for publications like Dazed, Tatler and Grazia. Claire Meadows is Editor in Chief and Founder of After Nyne Magazine, one of the UK’s best-regarded coffee table arts publications. She is a regular commentator on BBC Radio Oxford and writes on arts/social issues for the Huffington Post. She’s also a published poet. John Atkinson Grimshaw's picture of Hull Docks. We used to have a framed print of it above our mantle piece and as a child I used to love watching the light change in the picture at different times of the day. I'm from Hull, so nowadays the painting makes me feel connected to the culture that existed there long before it became the City of Culture. Beatrice Hodgkin is Deputy Editor of the Financial Times How To Spend It magazine. She joined How To Spend It after a 4-year stint as Culture Editor at Conde Nast's Easy Living magazine. Beatrice has also published several books, the most recent being 'Affordable Contemporary Art: a Guide to Buying and Collecting'. Richard Wilson is one of Britain’s most renowned sculptors. He has been nominated twice for the Turner Prize and has represented Britain in the Sydney, Sao Paulo, Venice and Aperto Biennial, plus the Yokohama and Aichi Triennal. Richard has exhibited widely nationally and internationally for over 40 years and has made major museum exhibitions and public works in countries as diverse as Japan, China, Hong Kong USA, Brazil, Mexico, Russia, Australia and Iraq. He was elected a member of the Royal Academy in 2006. Fatoş Üstek is a London-based curator and writer. She has previously curated miart Talks 2018, Milano; Art Night 2017, East London; and fig-2, 50 projects in 50 weeks, 2015, ICA Studio, London. Üstek is chief-juror for the Celeste Prize 2017, jury for the sculpture section at the 2017 Arte Laguna Art Prize, Venice. She is founding member of Association of Women in the Arts (AWITA); Art Nights Trustee, member of Block Universe Advisory Board, member of AICA UK, and ICI Alumni. She curates, lectures and publishes internationally.